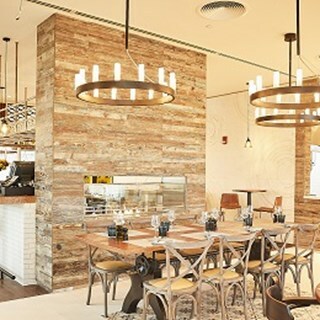 Manzoni Bistro and Bar has re-opened its doors at the Pullman JLT, Dubai. 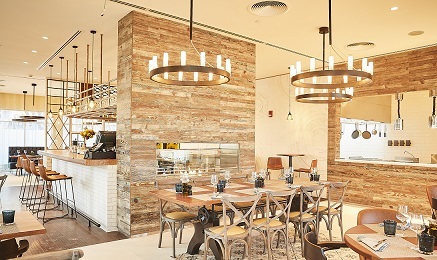 The renovated Italian restaurant features a range of authentic Italian dishes, matched cocktails and bar bites from lunch until midnight. Featuring a “modern twist to traditional Italian cooking”, starters include burrata with datterini tomatoes and fresh basil, calamari fritti and octopus carpaccio. Pasta dishes include veal carbonara, ricotta gnocchi and porcini mushroom ravioli. Mains include rosemary-braised lamb shank with mascarpone polenta, roasted sea bass with cherry tomatoes, capers, black olives and baby spinach and beef tenderloin with truffle mashed potatoes and grilled vegetables. Everything was wonderful. Thanks to the manager and staff.